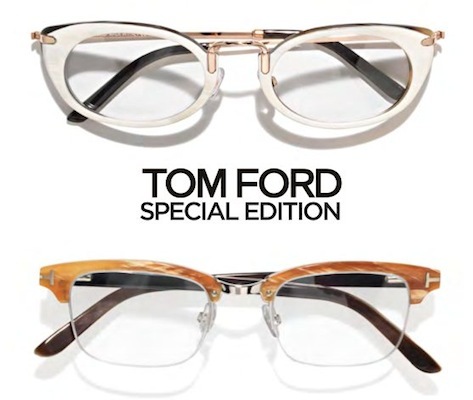 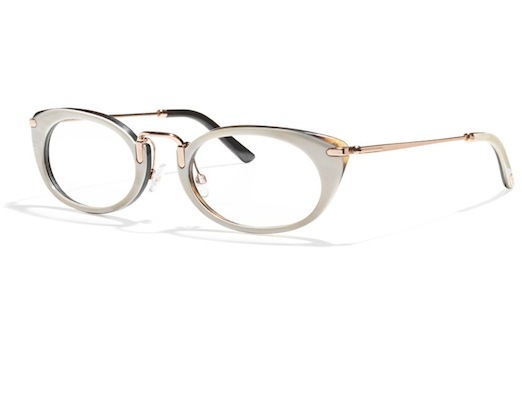 INSPIREd to wear the GLASSES: TOM FORD is launching a SPECIAL EDITION OPTICAL EYEWEAR COLLECTION for fall | winter 2012-13, made available from April through June, 2012. 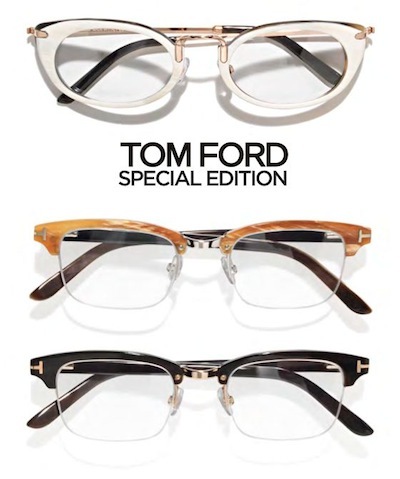 Inspired by the enduring elegance of 1950s eyewear, Ford has created his most luxurious collection of optical frames for both men and women. 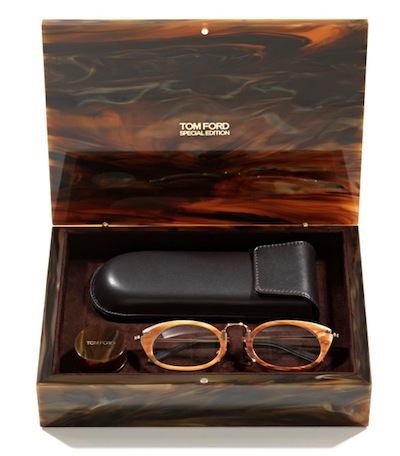 Gold-plated metal with precious water buffalo horn in a gorgeous specially designed resin box, complete with conditioning cream and chamois cloth for complete care of the horn. 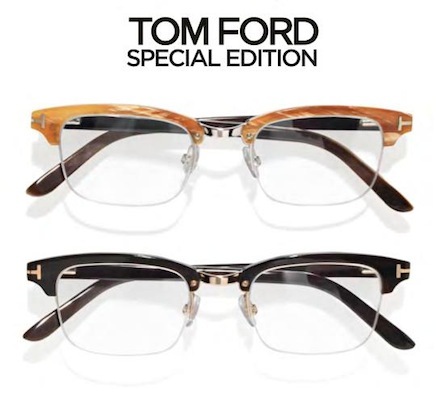 The retro-influenced meticulously crafted luxury frames sport the understated “T” signature of TOM FORD EYEWEARand come with a certificate of authenticity. 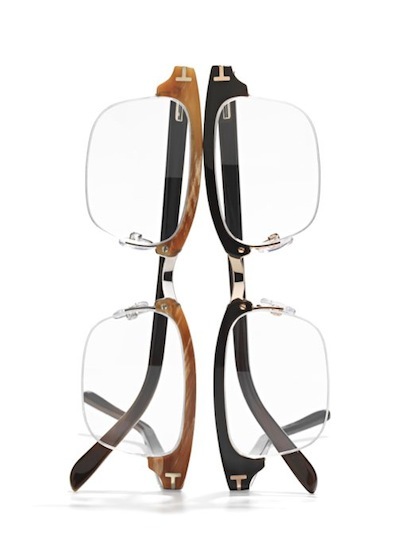 The women’s frame is offered in yellow-gold plated metal with brown and gray striped horn or yellow-gold plated metal with white and gray striped horn. 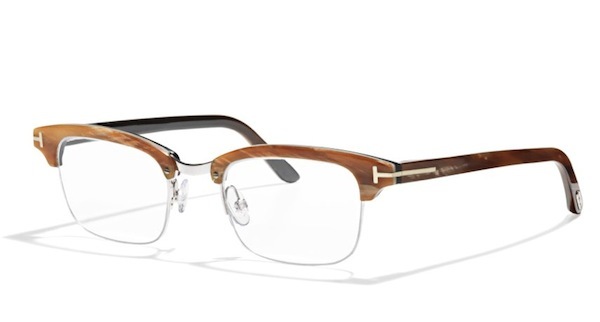 The men’s frame has slightly stronger temple proportions. 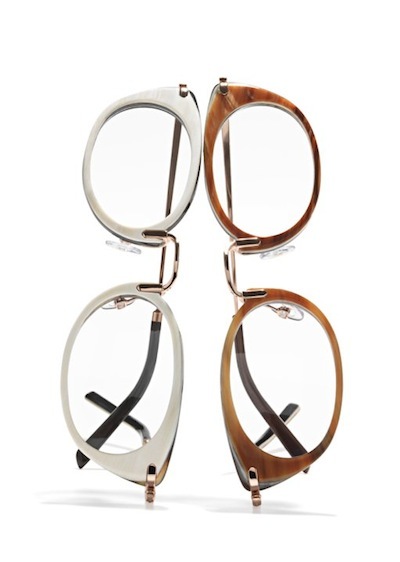 It is offered in white- gold plated metal with brown and gray striped horn or yellow-gold plated metal with black striped horn. 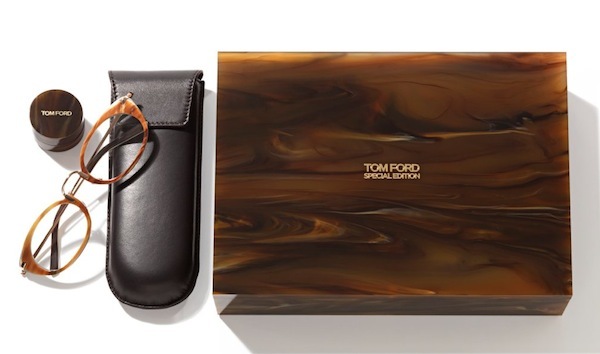 available for $2,950 in Tom Ford boutiques and select luxury department stores.